HELL IS COMING! Phish Pin! I shed light on an inside joke about the song Halley's Comet with this Phish pin. Sometimes if you listen closely it might sound like they are singing "Hell is coming" instead of Halley's Comet. So perhaps it's about a guy who's pissed off and he going down to the central part of town with his 'HELL IS COMING' sign. "How could you know that I lived in a desperate world? What is the central theme to this everlasting spoof?" 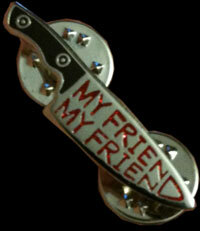 And my favorite line of the song "Don't be blamin', Eat my Kazoo"
This Phish pin is SOLD OUT! BUG! "IT DOESN'T MATTER" Phish Pin! 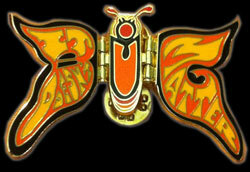 I am proud to unveil the BUG Phish Pin with flapping wings!! A joint effort between myself and Ryan Kerrigan! This Phish Bug Pin is a 2" cloisonne Pin with 2 posts. Stamped and numbered on the back. Join us on the Phish Pins Facebook group! Expanding exponentially like some recursive virus! And the vibes that rise like fireflies illuminate our play! Phish's new cover song by TV On The Radio called "Golden Age" has become one of my favorite songs they play and I was inspired to make a 2 pins about the song. 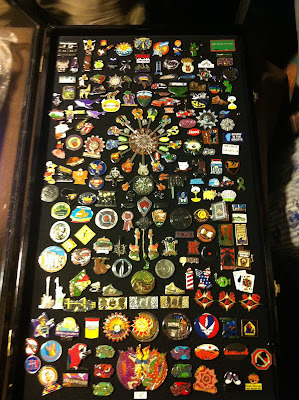 After traveling around the country for 3 months and gathering all the pins we could from fans around the country, we finally gifted the Phish Pin Case to the band on the 3rd night of the Denver shows at Dicks Sporting Goods Arena. Thanks so much to everyone who contributed to the Phish pin case! This lifeboy Phish pin is the 1st in a series of 8 Ausphishious Phish pins I am making. 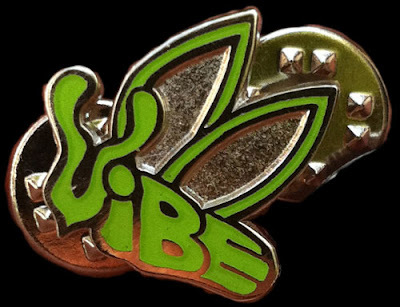 The Lifeboy pin has a praying lizard swinging from a lifeline from the endless knot of Buddhism. Entangled in the remnants of the knot I left behind are the lyrics to Lifeboy. Phish Pin case Looking good! The 1st leg of Phish summer tour 2011 was incredible! So many kind people and new friends and adventures! and Superball IX is just around the corner! 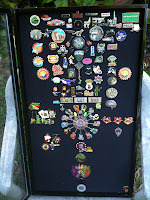 I met so many amazing people and collected a huge pile of new Phish pins! The Pin Case we are giving Phish as a gift is coming along nicely! I will hand it off to Partytime Pins for the second leg and we will gift it to the band in Denver : ) Thanks to everyone who has contributed! And the Foam keeps getting thicker! I really like the Hydrogen Phish pin. Its such a obvious and simple design. This My Friend My Friend Phish pin is absolutely perfect for a hat! 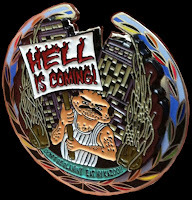 I am excited to unveil my latest Pin for Phish tour this summer! 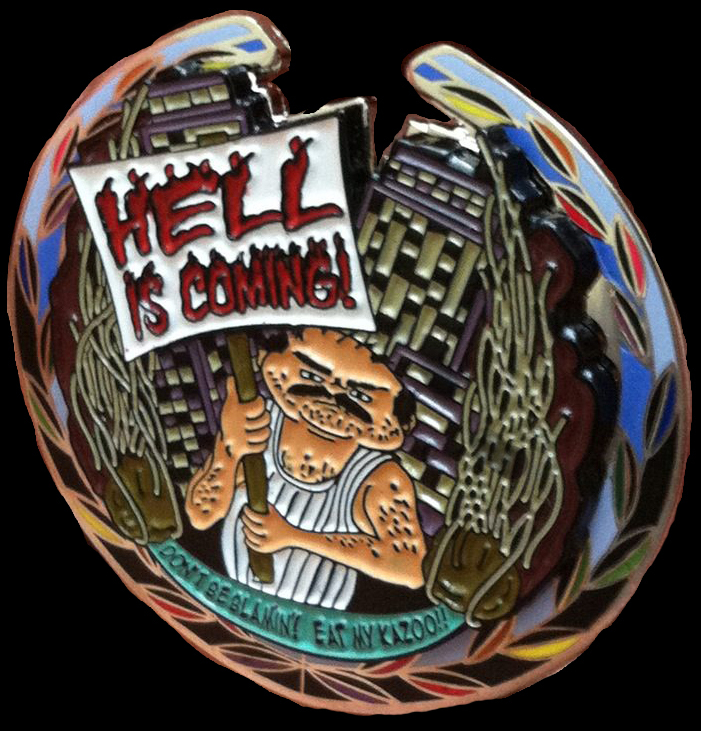 The Mayan Sanity Phish Pin. On the back it reads "I don't care if the world explodes!" 2011.